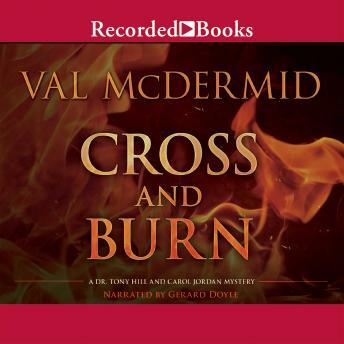 Internationally best-selling crime writer Val McDermid' s work speaks for itself: her books have sold millions of copies worldwide, won numerous accolades, and attracted a devoted following of readers around the globe. Her latest, Cross and Burn , picks up where The Retribution left off: following the best crime-fighting team in the UK-- clinical psychologist Tony Hill and police detective Carol Jordan-- who when we last saw them were barely speaking, and whose relationship will now be challenged even further. "Smooth. Confident. Deeply satisfying. What else can you say about McDermid' s writing? . . . The Jordan-Hill relationship remains the star of the show. . . . It' s a match made in heaven amid hell on earth." --Entertainment Weekly "The Torment of Others"